What we see in a polished diamond barely resembles what we get out of the ground. The pure, colorless nature of what we think of in a diamond is a far cry from the rough lump that is brought from the earth. Instead, when mined, diamonds look like an ugly chunk of glass embedded in a cross-section of rock. The rough diamond is then extracted from the rock and is cut and polished. This goes on to create the beautiful stones we see at the end of the manufacturing process. Cut diamonds as we know them today have been around for centuries. The first guild of diamond cutters was organized in Germany in the 14th century. By the 16th century, more “modern” cutting techniques allowed for much higher precision in cutting, and the industry boomed. Diamonds are made up almost entirely of carbon, one of the most abundant elements in the universe. It is also second only to oxygen in the composition of the human body. All living things need carbon to survive, and yet all use it differently. Graphite, of the type found in pencils, is also a type of carbon, despite being very different to diamond. 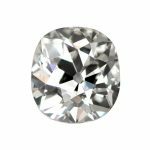 Whereas graphite is soft enough to leave a smear on paper, diamonds are famously the hardest known natural element. This is because carbon atoms can bond in different ways, known as allotropes. When the carbon atoms bond in a very rigid lattice form, this is what makes diamonds. The rigidity also makes it very difficult for other elements to become part of the lattice. Occasionally, though, elements like nitrogen, boron, and others get in. It is these rogue elements which create the range of colors we see in diamonds. Also because of the lattice structure, many rough stones will already resemble the classic diamond shape we see every day. This symbol, seen in everything from cleaning products to a deck of playing cards is instantly recognizable. Unlike its close cousin graphite, diamonds are not good electrical conductors. The exception is in blue diamonds which contain boron. These have such good conductive properties that they are often used in industrial applications. In essence, carbon + pressure = diamond. However, if you think you can construct diamonds using this formula, you will be disappointed. In fact, you should probably sit down for this bit. 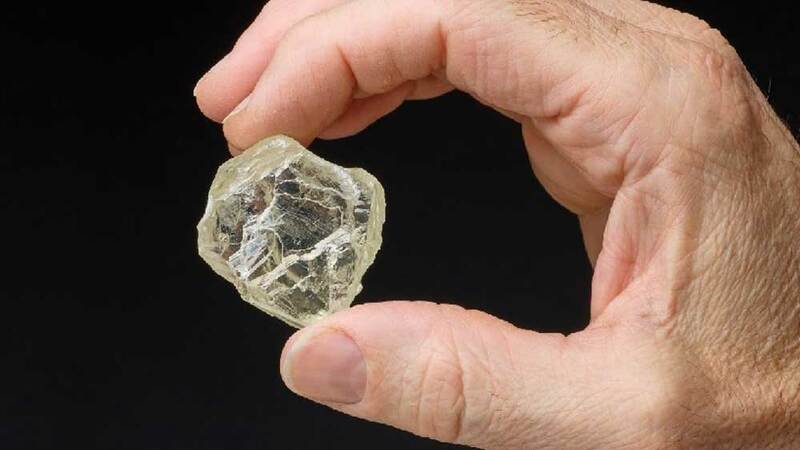 A rough diamond takes between 1 and 3.3 billion years to be created. Yes, it’s not a typo, we do mean billions of years. For all that time, the raw carbon is subjected to enormous pressure, approximately 90-120 miles below the earth’s surface. Eventually, deep volcanic activity brings the diamonds to a manageable – and mineable – depth. Occasionally this process will even cause surface deposits but, more likely, at about 1/3 to 1 mile deep. Depending on the surrounding rock type and structure, some mines will be underground, and others opencast. Regardless of the method, it can be a very dangerous occupation. All too often, children are often employed for their size and mobility. This practice has thankfully reduced thanks to measures introduced in the Kimberley Protocol which governs the diamond industry. Diamond deposits, in theory, can happen anywhere, but they usually don’t. 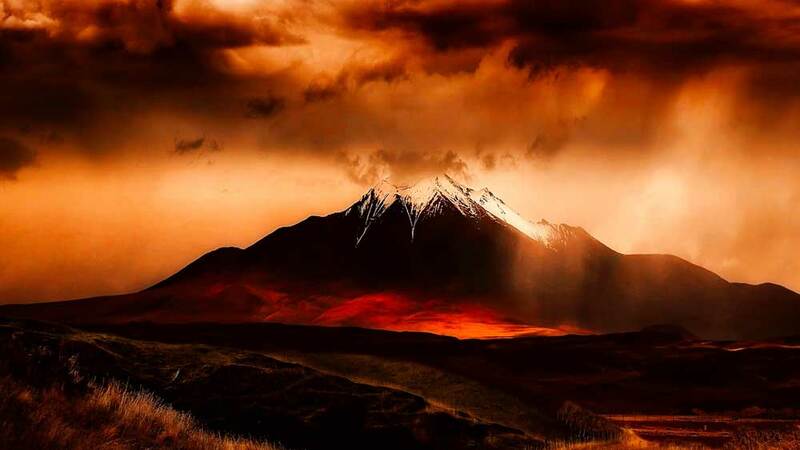 The massive volcanic forces needed to punch the deposits upwards towards the earth’s surface only occur very rarely. They also only occur in certain areas. It is thought that such an occurrence hasn’t been experienced in over 4 million years. This means we have no clues as to where the next one will be. It isn’t the case that these volcanic “funnels” happen on fault lines, as might be expected, however. Most diamond deposits actually occur in areas with relatively quiet seismic activity. This means mining can go ahead without an increased risk of tremors and collapses. Although small-medium deposits are found across North America, the largest deposits are in Africa, Russia, and Australia. Most diamonds today have their origins in Africa, although Russia now accounts for around 20% of all newly extracted diamonds. We’ve already mentioned that a rough diamond will often resemble the classic diamond profile we see all the time. But it also means that there is considerable work required to create the finished product. A rough diamond basically has top and bottom points, with a broader middle. It is also an approximately square shape when viewed from above. This is why some cuts are better than others. Better for the dealer, that is. When cutting and polishing a rough diamond, the focus for the cutter is always on the yield achievable from each stone. Typically, the yield from most cuts will be somewhere between 40-60%. The rule of thumb is that, the rounder the cut, the lower the yield. Despite this, the modern round brilliant is by far the most popular cut demanded by consumers. Square cuts like the princess cut offer a much more significant return. Cuts which roughly follow the natural shape of the diamond are well-liked by cutters! Diamonds are typically polished using another diamond. In some instances, two rough diamonds are used to cut each other into a largely finished shape. This is before being further refined into the recognized, sale-able cut that we see in store windows. The modern round brilliant cut has 58 or 59 facets, depending on whether the pavilion itself is faceted. If it is, there will be one facet at the tip of the pavilion itself. This is number 59. 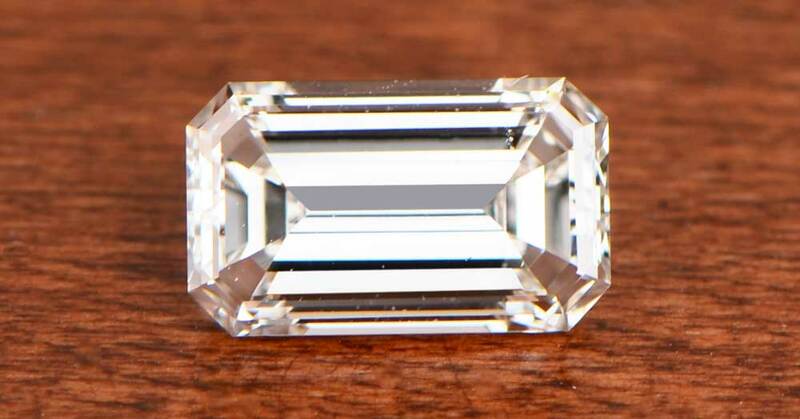 Most other cuts will have slightly fewer facets overall but usually have 50 or more. Without the craftsmen of hundreds of years ago, and the efforts of others, we wouldn’t have the diamonds we know today. It is through them that we get to appreciate such beautiful things. From rough to polished is a precision art, carried out by genuine artists. Art collectors may not agree, but that’s for them and their conscience to deal with. Sometimes it’s difficult to see how a rough stone can become such a beautiful polished diamond. They do, though, and it is a wondrous transformation. Click here to learn about the 4c’s.